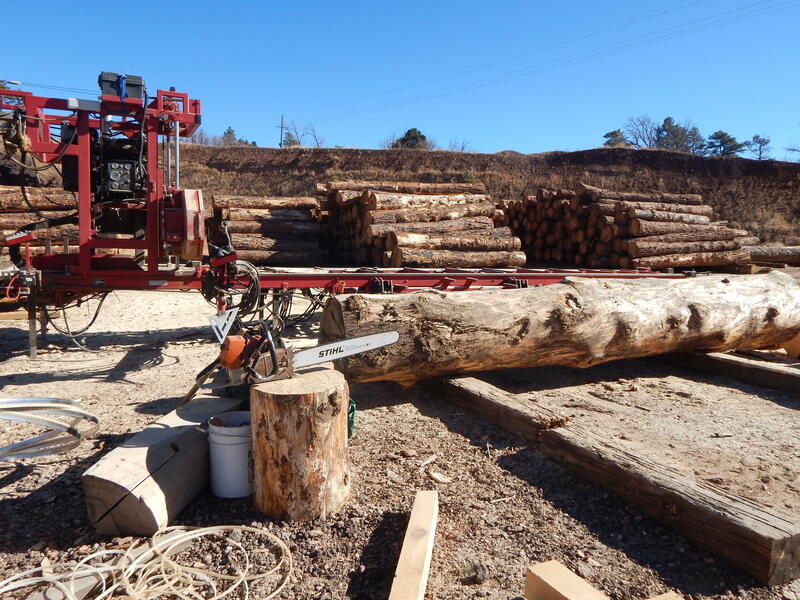 A tractor-sized machine clamps its jaws around a tree and cuts it at the base, then lets it drop into a growing pile. This is the Chimney Springs restoration site north of Flagstaff.  "We’re seeing what they call a ‘feller-buncher’ thinning out ponderosa forests," says Pat Graham, state director of The Nature Conservancy. He says this site is a small slice of the U.S. Forest Service’s most ambitious thinning project, the Four Forest Restoration Initiative or 4FRI. "And a lot of people thought that once the approval for that was given, that industry would just come flocking into Arizona," Graham says. "It didn’t happen." He says that’s because logging companies weren’t convinced they could make money. Restoration is expensive, and the trees aren’t worth much—they’re small and full of knotholes. 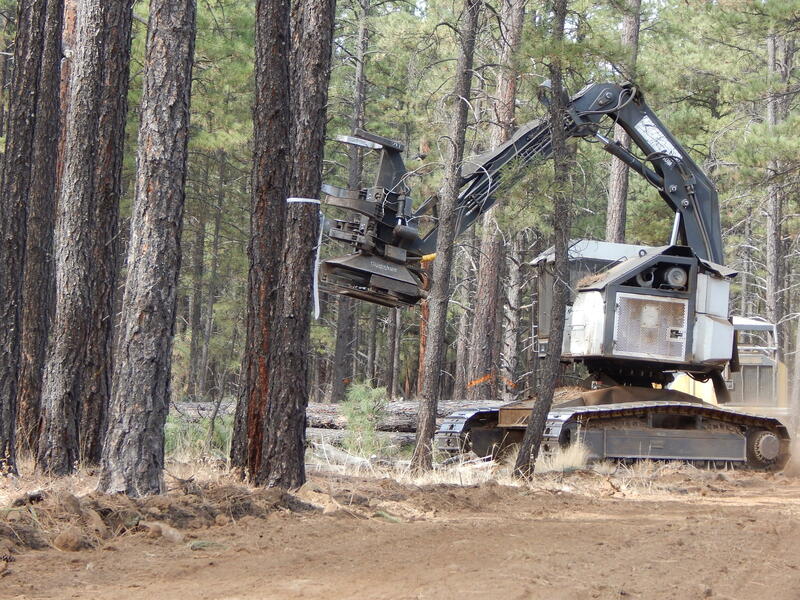 Sawmills and paper mills that once flourished in northern Arizona are gone. But the problem remains: overcrowded forests that blaze up in wildfires. Graham says, "We’ve determined it’s about a billion dollars to thin the million acres that needs to be thinned in our forests, so without the help of industry doing that it’s just really unaffordable." 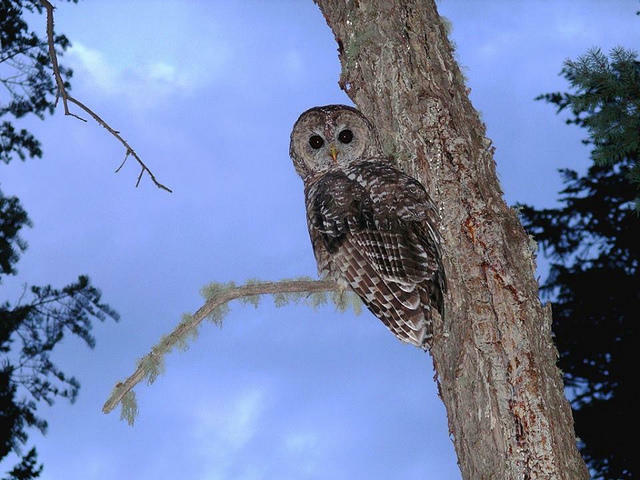 At Chimney Springs, The Nature Conservancy partnered with the Forest Service and logging contractors to identify cost saving measures in labor and transportation. 4FRI’s chief executive Scott Russell hopes the partnership will speed up restoration work. 4FRI aims to thin fifty thousand acres a year and so far has averaged thirteen. Russell says, "What we’re trying to do is to create the opportunity for the industry to come in, and figure out what kind of products can be built." It’s a tough sell because loggers don’t get to cut the big valuable trees anymore. "We’ve changed our approach," Russell says. "Now we’re leaving those large trees, and we’re harvesting the small trees of lesser value. So economics is a big player in all that." Rohit Tripathi thinks the partnership is a good idea. He owns a sawmill near Williams and has done business with The Nature Conservancy. 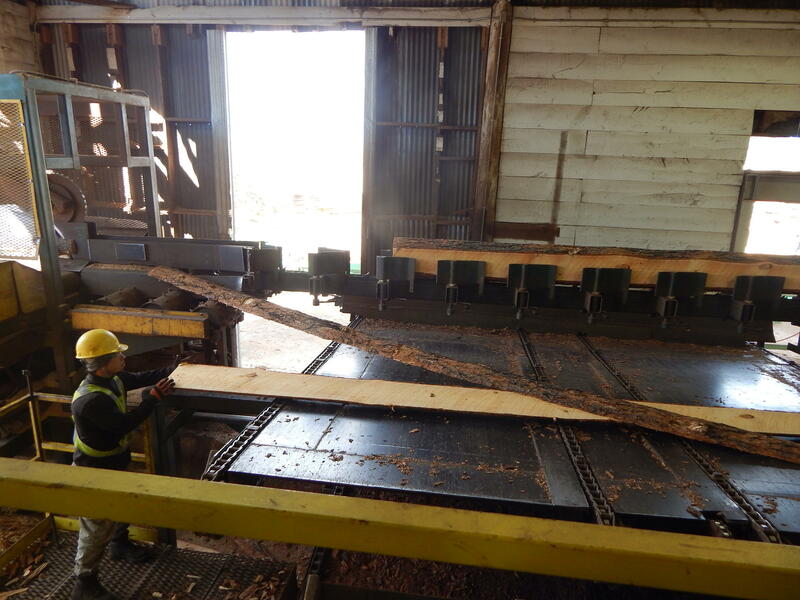 Freshly cut planks churn out of the mill onto squeaking conveyor belts. "Whatever they start they’re going to finish, so on my side I will have constant log supply," Tripathi says. "That in mind, I can invest more money and create more product." Tripathi sells lumber and wood chips, even sawdust for compost. He says so far it hasn’t been lucrative, "but if we bail out, then everything would fall apart. Like, all this forestry thinning you saw, where would these logs go?" Last year almost half of the wood** cut from 4FRI projects was piled up and burned. The rest went to sawmills like this one, and to a few power plants. 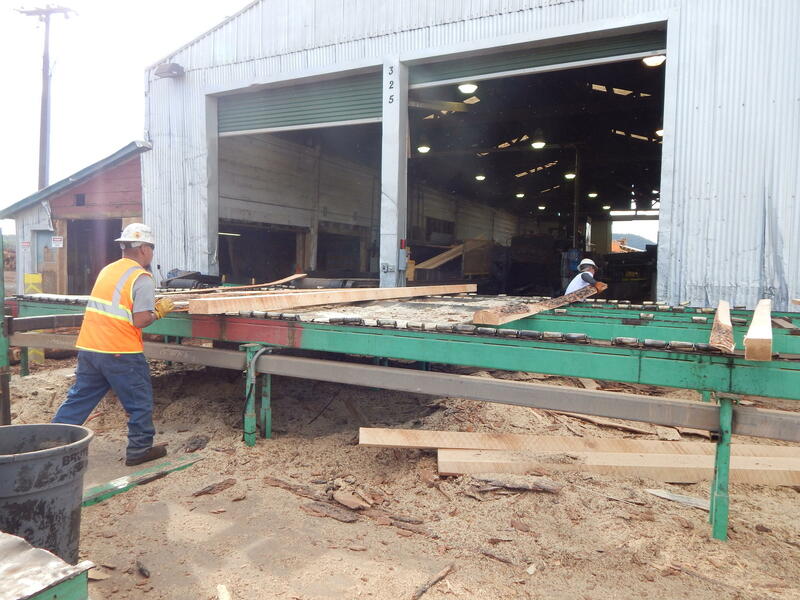 So sawmills are needed to keep restoration work going—but they struggle to make money on poor quality wood. Tripathi says he’s sticks it out because he cares about Arizona’s forests and watersheds. "You know, if it were not for good karma, on the business side, we’d have left long time ago," he says. But Silas Page, owner of AP Sawmill in Flagstaff, says businesses can’t be held responsible for the health of the forest. "If you were in business just to make money, you would of course just use the biggest, best logs and not mess with the rest of it," he explains. "The Forest Service is not asking us to do that. The Forest Service is asking us on these contracts to utilize all the fiber we can possibly utilize, and if there’s no money in it, then how are you supposed to do that?" 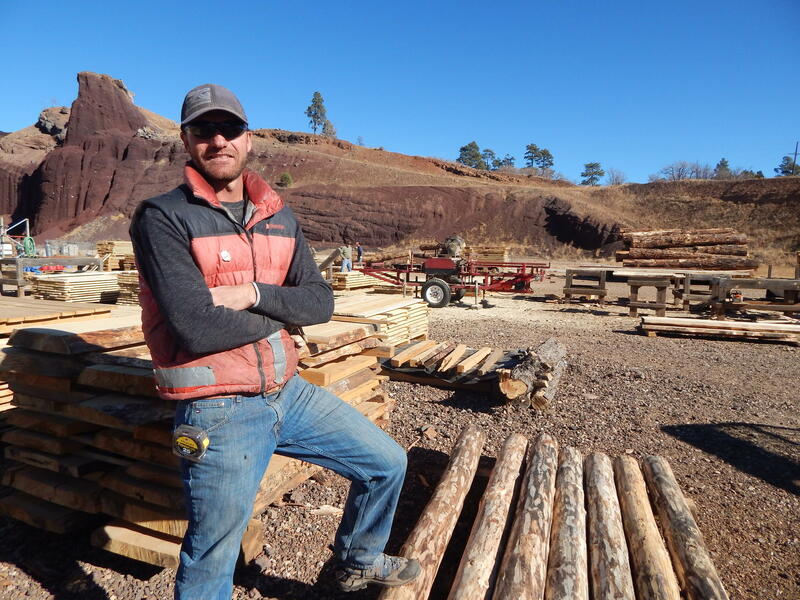 Page keeps his sawmill afloat because it’s small, a kind of “farmer’s market” for lumber. "The scale that I operate at, of course, I don’t really contribute to reducing fire danger in the forest," he says. Page says it matters to him that the forest is healthy and safe. He’s proud of selling local materials and participating in a local economy. But he says if the numbers for doing restoration don’t pan out, forest businesses won’t stay in business very long. 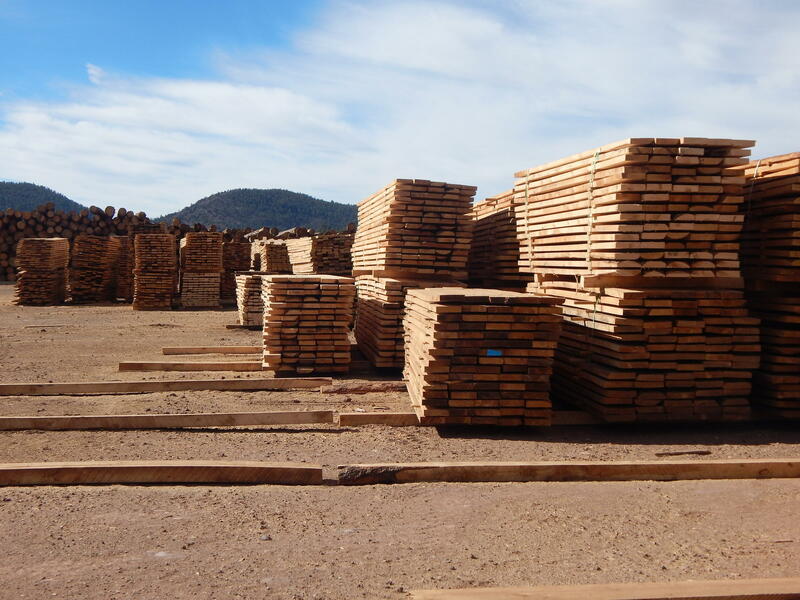 **Clarification: Large timber was removed from the entire 13,100 acres treated last year and sent primarily to Arizona sawmills. Additionally, the biomass (small trees and slash) from almost half of these treatments was piled and is being burned on site. 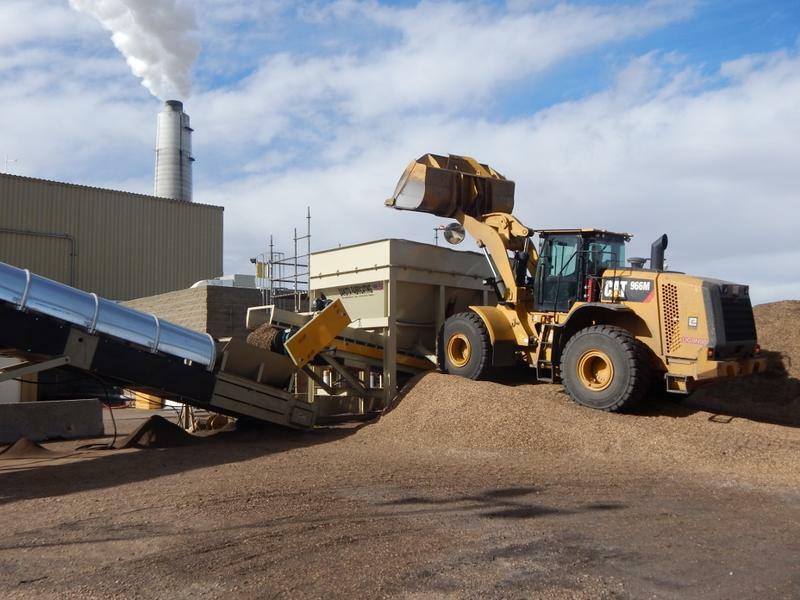 The rest of the biomass was removed and shipped to power plants and garden stores. 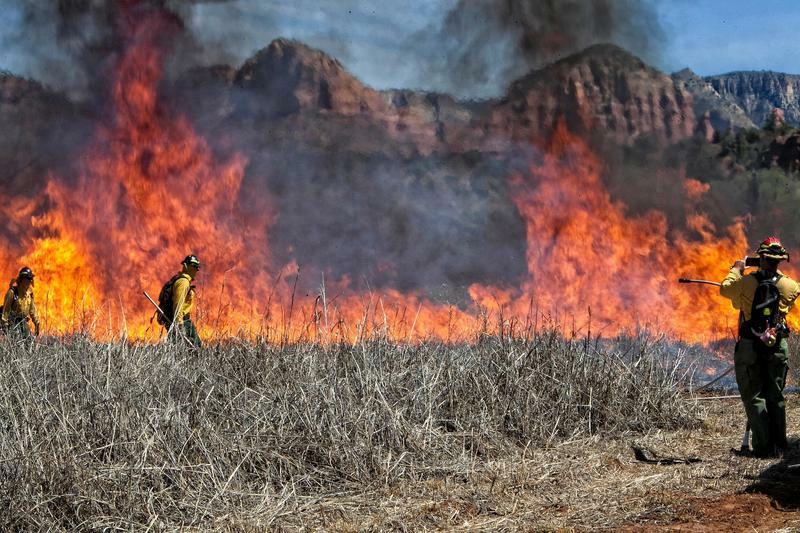 The U.S. Forest Service allowed fire to burn more than 73,500 acres in northern Arizona last year. 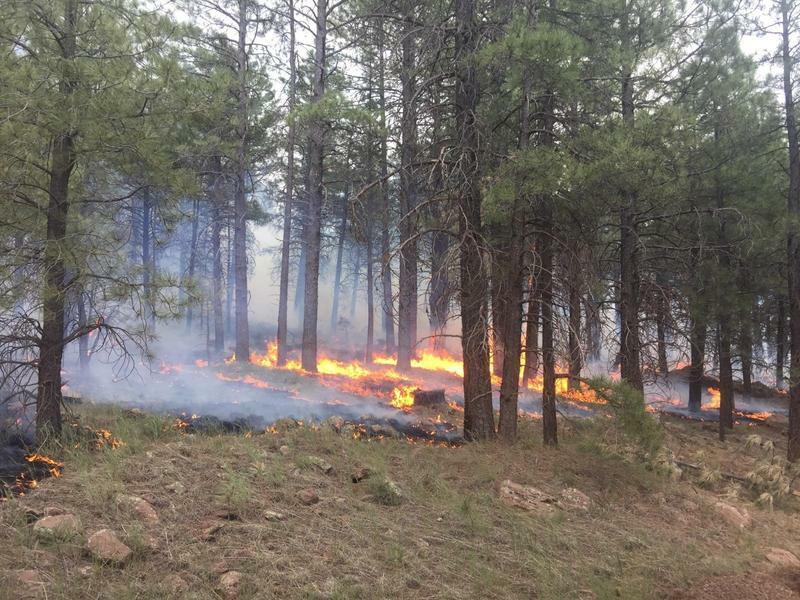 New research examines how well these “managed wildfires” restore healthy, historic conditions to ponderosa pine forests.